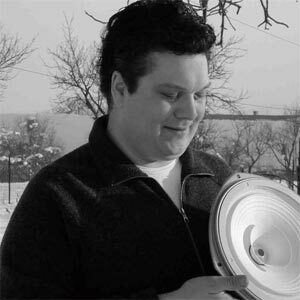 When he built his first speakers at the age of 13, he was instantly hooked by music and its proper reproduction. Already during his long-standing, successful career in the IT business, he was most passionate about high-end hi-fi equipment, always looking for the “perfect sound”. After an odyssey through most of the costly upscale brands, he rediscovered the roots of audio reproduction: Reading up on the history of speaker technology he came across classic full-range drivers, installed in horns. Enthusiastically he quit his job, determined to build the very best speakers on the planet. To learn even more about audio technology, he decided to go back to university and study electrical and audio engineering at the Technical University and the University of Arts in Graz. This course comprises theoretical and practical acoustics, acoustics of musical instruments, recording technology, … Obviously, a course like this must also include training as a musician.The attained knowledge, countless discussions with professors, musicians, instrument makers and passionate listeners all influence the development of our horns. Among our customers there’s a large percentage of musicians and other artists who trust their ears more than hi-fi magazines. Our horns are even used in recording studios. Our customers are individualists who have set their eyes upon individual appliances. The speakers must be adapted to their very own needs, preferences and listening habits. We build speakers out of love for music. The reproduction of emotions is our highest aim. Highest fidelity is not achieved by using many components. They only lead to estrangement from the original, falsifying the intended sound. Our purist design adds nothing to the original, yet it will not leave out a single detail. The energy and drive will excite you. The passion and emotionality will move you. The sound will simply convince you.